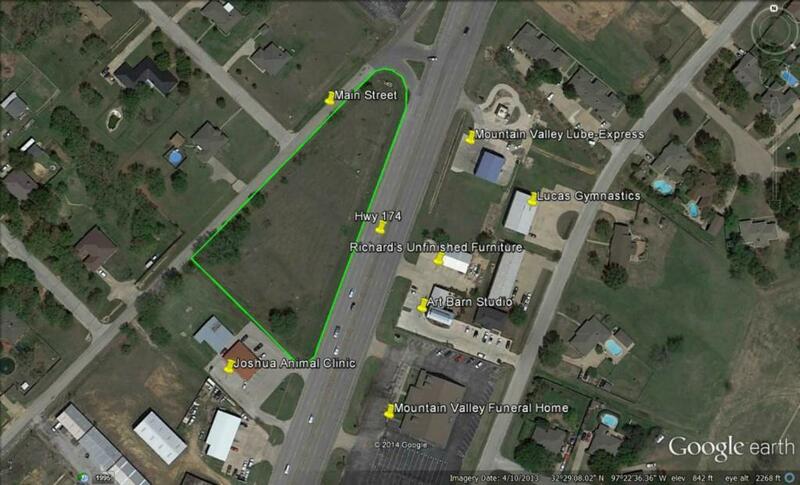 GREAT ACCESS ON A HIGH-IMPACT SITE, JUST 20 MILES FROM FORT WORTH. SURROUNDED BY A COMBINATION OF COMMERCIAL BUILDINGS AND RESIDENTIAL DEVELOPMENTS. A PERFECT LOCATION FOR DEVELOPMENT!